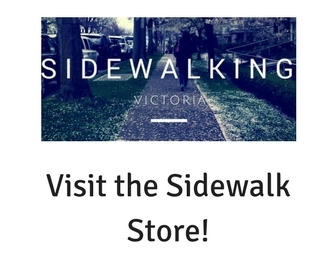 If you have been a long time reader of Sidewalking Victoria, you will know that I can be pretty hard on some city projects. I find that generally, these larger projects have problems that fall into one of three areas (or sometimes all three!). The first, and most common city project challenge is the continuous planning problem. We have seen this in so many city led projects from the Ship Point parking lots to Centennial Square, the shovels never actually get in the ground. The second issue that comes up is the opposition water down. This is what we see when there is at first a great idea that gets slowly watered down by those in opposition and sometimes on multiple fronts; in this way the end result of the project is the least offensive version of itself. The current arena is likely the biggest example of this watering down effect we have. The final city project challenge that we see is not thinking of the project in the context of a great city. We have a tendency, because of our inherent modesty; our wish for things not to change; and our disparate political layout of more than a dozen municipalities in a small area; to build civic infrastructure in a way that does not represent the fact that we are a larger city than all the individual pieces and we are a international tourist destination. So all of that to say that when the Crystal Pool project came along it started very quickly to plod down all of these paths to varying degrees. For some reason though, what had been a very familiar train came off the tracks due to extensive push back by the neighbourhood, an escalating price tag and some political gaffs by city councillors; this may be one of the most exciting changes that the city has dealt with recently. The thought now is to build a Crystal Pool replacement on the parking lot of the Save on Foods Memorial Centre (A couple articles here and here). There is also some thought of including the Curling Club in the proposal. I really hope that this comes to pass and look forward to seeing some early drawings from the planning team! I am just a little worried that they are not thinking big enough given some of the initial comments in the articles that I have read. I know that there is trepidation on the part of the city given the push back that they have seen so far on this project, in particular on the budget challenges. As we saw with the bridge fiasco, keeping an eye on what you are spending is critical and the outcome we see there is a mediocre product for a high-end price. 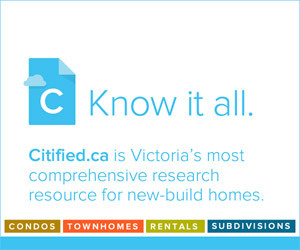 It is my opinion that if the city can deliver a high quality product, the question of cost becomes much less prominent. So what am I thinking about here? Okay, so taking all the limitations off, the first thing to consider is what is in scope and in my opinion, it’s from the corner of Blanshard and Caledonia to Quadra and Pembroke. Maybe at the same time throw in the restoration of the northwest portion of Central Park after the new pool is built and the old pool can be torn down. I am not calling for the tearing down and rebuilding of the arena but I do think we have an opportunity to really enhance what is right now a very sterile space. So first picture the entire lot in its drab emptiness, with its tired Curling Club building, an arena space that sits empty at least on the outside and so much surface parking. Now, start to imagine this as somewhat of a blank canvas for creating “the” civic centrepiece for the region. So what am I including in this precinct? There are of course an infinite amount of things that could be included, just looking at this list though here is what I think it could be like. I know, I am not an amazing artist but it was a quick drawing. It shows just how much space is actually here! So the pink space would be used for the Curling Rink and Swimming pool. From a very basic Google Maps eyeball, the space seems slightly larger than the current pool so with some planning you could accommodate an underground curling rink without having the pool have to be above it and instead have administration and change rooms above it. Next to the pool imagine a community centre or library with four levels of well screened parking rising above it. Both this building, the pool and the arena back entrance would all encircle both a drop off area and also have it as a multi-functional space that could be activated for events. Next to the rec centre and pool facility would be a separate housing building that the city could build in conjunction with one of the local housing agencies or build market housing as a way to recoup some of the cost. Likewise, the office building with ground floor commercial would be an opportunity to bring on a private partner help cover the cost. The city could consider moving some of their offices here so that they could sell the property across from City Hall along Pandora to help fund the project. If done well the entire area would be a region wide entertainment destination, a location for a farmers market, neighbourhood festivals on top of the other essential amenities that the city needs. Compared to so many of the bad ideas that have come out of the city over the years, this at least is beginning to go down the right path, though it is unfortunate that so much planning money had already been spent on the previous plan of replacing Crystal Pool on the Central Park site. That reminds me, one of the best parts of this is turning the current Crystal Pool location back into park space. I think it would be pretty cool to take advantage of excavation of the pool space and turn it into a pond like the one in Beacon Hill Park, but no matter what is done though, having that entire space as park would be such an improvement to Central Park. Let me know what you think are the opportunities with this plan? What are some of the challenges that you can see?